An update about embedded Firebird on iOS, a new build is available that fixes a problem in how the bin directory located the firebird.msg file etc. A new function realpath added to config_root.cpp for darwin now returns the canonicalized absolute pathname. Update Posted by Paul Beach : I have updated the Firebird embedded on iOS page on my blog to reflect the current state of things, now my Mac has been returned. isql/gbak (or any other firebired utility) can now find the relevant libs they need by searching the directory above them i.e. MacOS. I haven’t tested this myself yet on IOS, so any feedback would be appreciated. Based on a comment I made in response to someone asking about the availability of Firebird on IOS (after someone mentioned that the recent release of Delphi XE5 has support for an embedded version of InterBase for iOS and Android), I thought I would write a few more details of the hows and wherefores here. NOTE :: To make the new engine work properly under multi-threaded conditions we had to use Grand Central Dispatch, which was first released in MacOSX 10.6 (Snow Leopard). MacOSX users should be aware that Firebird 2.5 will run only on MacOSX 10.6 or higher versions. 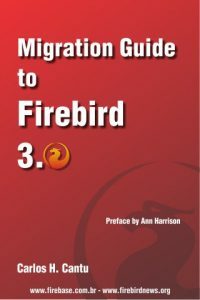 If you want to use an earlier version of OSX you will need to use an earlier version of Firebird.